The OpenEMR Plus Surgery package includes all of the robust work flow management tools, reporting and integrated data exchange of our Core Functionality with the added bonus of Surgical Management forms and reports. 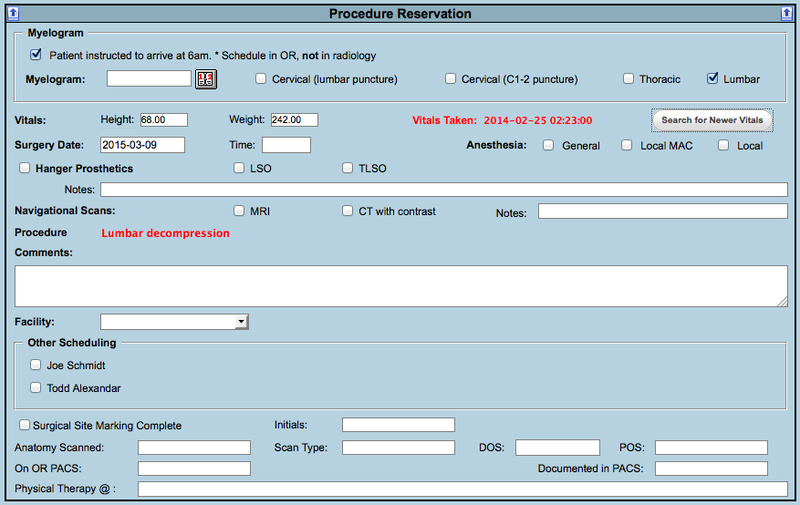 The Surgical Case Management Form is a comprehensive form that allows you to manage all the aspect of surgery from pre-authorization to physician referrals all the way through to post-operative patient instructions. This form allows you store all of the surgery case numbers, such as the Internal Case ID, Pre-Auth Number, and Hospital Case ID in one place which allows for ease of tracking and management. Should the surgery require the referral of another physician, this form will not only allow you to document which referring physician is required, but also for what purpose, make any notes and document the appointment date the patient has with this physician. The system will automatically trigger the Orders / RTO system and generate reminder orders using the workflow management component of the system to insure this appointment is created and office personnel have followed up with the referring physician accordingly. 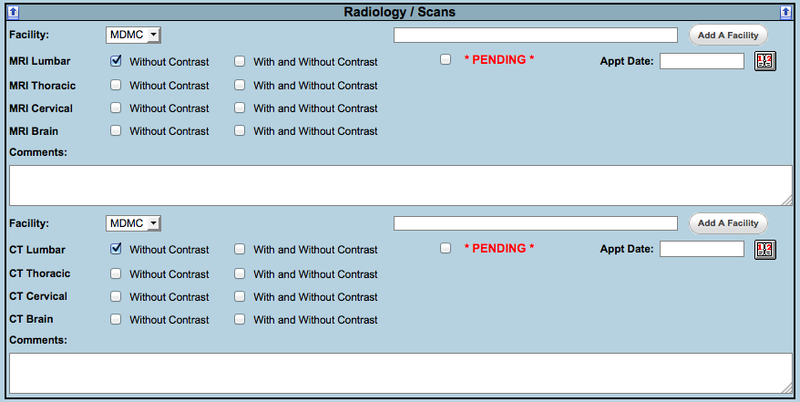 This section allows the physician to dictate any additional radiology or scans they will need to have prior to surgery. It will also trigger the Order / RTO system for appointment reminders, etc. to insure this is also scheduled in a timely manner in accordance with the surgery date. In this section of the form, the physician can dictate what type of surgery will be conducted, the type of anesthesia required, and any prosthetic that may be used dependent upon the physician and surgery type. This section of the form is where the physician will dictate any activity limitations and post surgery instructions for the patient. As with all of our custom packages, we work with each practice to tweak and customize our offerings to fit their needs. We look forward to working with you and your practice, contact us today!